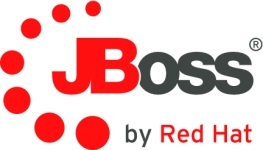 I'll be doing a set of workshops in September on jBPM5, in Japan and Australia this time. These workshops are a combination of presentations highlighting the various features, combined with practical sessions where you can try it out yourself using simple exercices on your own laptop. A more precise agenda of what will be covered is included in the links below. These workshops are free but seats are limited, so be fast and register! Keith Babo will be doing a SwitchYard workshops on the same locations around the same time, so this might be an ideal opportunity to see both of these projects in action. Based on the Adventure in Prolog, over at the Amzi website, http://www.amzi.com/AdventureInProlog/, I started to work on a text adventure game for Drools. They are ideal as they can start off simple and build in complexity and size over time, I think as well they are a nice way to show of declarative relational programming. I know when I first went over the Nani Search text adventure game over at Amzi I thought, that's pretty nifty, true data driven applications. Rules Fest, the International Conference on Reasoning Technologies, was established 3 years ago to present a technical forum by developers, for developers ... the people who are chartered with computational reasoning, the most applied category of artificial intelligence, to further technology development. Given the exhilarating, and sometimes frightening, pace with which technology evolves and its fickle and unpredictable propensity to do so, Rules Fest has diversified its technology portfolio to include powering the semantic web, controlling autonomous agents, and adding intelligence to a myriad of mobile apps. In addition, cloud-based technology offers a value not previously available in the history of computing: data and mechanics are ever-more accessible to developers, making the cloud more practical and efficient. These topics will be presented and discussed -- formally and socially -- at the Rules Fest 2011 conference. Rules Fest attendees develop Apps That Think.™ Are you one of us? We invite you to join the Rules Fest Community: the developers, inventors and managers responsible for delivering the innovation and technology that keeps moving the ball forward. In addition to the annual conference held in October, we are developing webinars, papers, virtual boot camps and others tools to share ideas and information within the community. Keynote speakers for Rules Fest 2011 include thought leaders in the area of artificial intelligence: Paul Haley who will present a Roadmap for Rules, Semantics, and Business; Dr. Said Tabet, who will discuss Semantic Technologies and the Cloud: Rules for the Next Generation; and Dr.Andrew Ng, whose Machine Learning and other AI programs presented by Stanford faculty have generated nearly 200,000 registrations this month. Register now to take advantage of the early bird discount. Conference General Admission registration is available for $449 for those who do not need a hotel. Special early pricing for individual boot camps is also available at a cost of $249 per session. 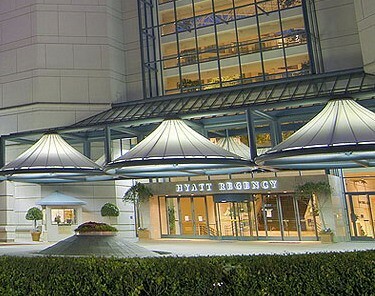 A discounted rate of $149/night is offered by the Hyatt Regency Burlingame until September 30, 2011. Confused about reasoning technologies? Review the wikipedia posting to see where your interests lay or what system types may apply to your requirements. Rules Fest is a conference for all levels of skills. Unsure about Rules Fest? Need more info? Contact us. Work on this subject will continue to allow already dropped UI components to be moved, by right-clicking on it and selecting "Move"
Validation attachment: Validations can be added since a few posts back, but so far, the only validation available to add is "Not empty". Also, there wasn't a representation of these validations, either on client or in server side. These are some of the things that I'll be working on next week. I18N of labels and such: These aspect of form design is something yet to be properly defined. Most fields on a form will have an explainatory label, and so, will be needing a way to configure that label according to the user's language. For such, a display will be added (and accessible by right clicking on a text and selecting "Internationalize") to show different flags and associate the proper message for each language. L10N helpers for labels and such: For the same reason as i18n, l10n might be a delicate subject for forms that should show currencies and number punctuations. Event handlers: Every change and every action a user takes on the form, either in HTML or any other display, will fire different kinds of events. By right-clicking on different ui components and selecting "Event handling", you will be able to manage actions to be taken for such events, that might go from a communication to a server to the full client-side updating of the form. Using RestyGWT for client server communication: This framework allows developers to create simple Resteasy clients in GWT, and it will provide a much needed cleansing to the client server communication layer of the form builder. This blog post is to share with the community the roadmap of the emergency service application for the third iteration. This application was designed to show how to architect an application using Drools and jBPM5. The application demonstrate several features of each project module and we are trying to add and complete the application with more and more features through different iterations. 1) Improve the current architecture of the application making the standard procedures more generic and flexible. To be able to add all these features in the application we will be first focused in improving the business procedures always adding more features visible to business users. We are adopting this approach to highlight the way of solving problems and architecting applications using the power of the declarative approach proposed by these tools. Spending time on the technical side of the application is not a priority at this point. We will be changing the design and the components during next iterations, but we encourage the community to helps us on very specific technical problems or giving feedback about the proposed design. This procedure will be executed for each emergency call that is received at the central offices. For this reason, this procedure will be hosted and empowered by a different set of services to support and execute a generic set of tasks required to deal with every new emergency. The big change compared with the old version is that now each emergency will have a one-to-one relationship with the information generated by all the internal procedures. 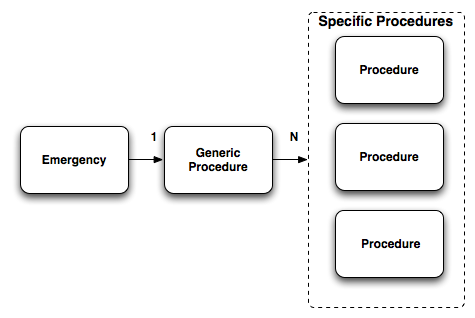 The generic procedure instance will be in charge of maintaining the relationship between all the specifc procedure instances required by the emergency. Now each specific procedure will be in charge of notifying to the parent generic procedure. This procedure covers a heart attack situation that involves an ambulance that needs to be sent to the emergency location. A hospital will be selected based on the situation and the location of the emergency and the ambulance driver will be notified about this selection. The patient vital signs will be monitored in real time to notify the central about the status of the patient. As you may notice the generic emergency procedure allows the company to decide and select which procedures are appropriate for a specific situation in a quick and well defined manner. For doing this selection the contextual information and human interaction is used to quickly deal with the current emergency. But what happens if we want to start a procedure on an ongoing emergency? What happens if we receive information from an external source that affects the company behavior when all the procedures were already started? The company will need a way to Attach and Detach dynamically new procedures to emergencies based on the information that we are receiving from external sources. If we found one if this situations, we don’t want to trigger a complete new emergency and we will not have another phone call that triggers the generic emergency procedure. For this kind of situations we will have the following simple process that will allow us to attach a new procedure to an existing emergency. Similar as the Default Heart Attack Situation we have defined a generic purpose procedure to deal with emergencies that require a set of ambulances to be dispatched to the emergency location. Start Tracking y Stop Tracking should attach and detach a vehicle to the tracking system. For emergencies that involve fire we need to coordinate trucks from the firefighters department. The following procedure deals with selecting the number of trucks and monitoring each truck water supply during the emergency. In this case instead of receiving the patient vital signs we will receive periodical updates about the truck water supply and the fire situation in order to decide if we need to dispatch more trucks or if the situation is under control. Using the ad-hoc procedure we can start as many of this procedures as we want for an emergency. This very different procedure will be used for bank robbery situations. In this procedure we need to coordinate police cars in order to deal with a bank robbery. We need to add to the application infrastructure new components to deal with very specific topics. Some of these modules are very basic but they will helps us to show a realistic application architecture allowing us to show how each of these specific topics can be abstracted from the application infrastructure. Simple screens and back end service to abstract where the users that can interact with the application will be stored and retrieved. Entities can be any external source that bring services that can be coordinated by the emergency service company. 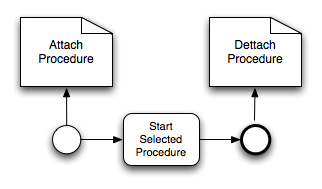 Each entity can be defined as Input, Output or Input/Output entity. This relationship will tell us if we can interact with the external entity or if we will just receive information updates from that entity. INPUT/OUTPUT entity: Hospital, Police Department, FireFighters Department. INPUT entity: traffic service, phone number recognition service. This service will be in charge of sending us periodical updates about their availability. We will have one instance of this service per hospital that the emergency service is coordinating. This service will also allow us to send request for new patients when we are dealing with an emergency with injured people. This entity will allows us to request for police cars to go to a specif location. This service will be also sending updates about the police cars availability that they have. This service will be used in conjunction with the tracking service to attach and detach monitored vehicles. This entity will allows us to request for fire trucks to go to a specif location. This service will be also sending updates about the trucks availability that they have. This service will be used in conjunction with the tracking service to attach and detach monitored vehicles. Real time monitor to analyze and receive the updates of all the external entities. This will be a Log like console with an alert box that shows us when specific situations are found. This component will be in charge of allowing us to attach different activities and entities to a specific emergency. This tracking component will allows us to scope information for each specific emergency. This service should also bring a domain specific query interface that allows us to retrieve the information for each specific emergency and all the relationships with all the attached entities and services. For a long time now, OpenNMS has had a little-known feature for doing event correlation, using the open-source Drools business logic engine. It is little-known because we have gone out of our way not to tell people about it — somewhere in the transition from OpenNMS 1.2 to 1.6, it broke because of a complicated chain of dependencies. Thanks to the work of the enigmatic Seth, Jetty and Drools are once again in agreement on their dependencies, and I’ve confirmed that it’s working as of this morning’s code (which should be available in tomorrow’s nightly snapshots). Configures the correlation engine daemon. Since the OpenNMS correlation engine is a generic API that could potentially be implemented using multiple business logic implementations, this configuration tells OpenNMS which engines are available. Currently, the only implementation is the Drools engine. Configures the Drools correlation engine. This file contains the Drools-specific configuration for event correlation. In it you define tags which refer to the code, events, and other variables that are relevant. An example Drools correlation rule which can detect flapping outages from remote pollers. An example Drools correlation rule which can do root cause analysis on node outages based on a node parent outage. A spring configuration file to provide extra resources to the “node parent” Drools rule. Then, edit your $OPENNMS_HOME/etc/service-configuration.xml and uncomment the service named “OpenNMS:Name=Correlator” and restart OpenNMS. Other than that, using Drools is not very well documented yet, but if you are a Java developer, you should be able to work out what’s going on looking at the rules and configuration files." The open Home Automation Bus (openHAB) project aims at providing a universal integration platform for all things around home automation. It is designed to be absolutely vendor-neutral as well as hardware/protocol-agnostic. openHAB brings together different bus systems, hardware devices and interface protocols by dedicated bindings. These bindings send and receive commands and status updates on the openHAB event bus. This concept allows designing user interfaces with a unique look&feel, but with the possibility to operate devices based on a big number of different technologies. Besides the user interfaces, it also brings the power of automation logics across different system boundaries." The when clause (LHS) of a rule should contain conditions based on the objects in the working memory, i.e. items and events. We're happy to announce the release of Drools (Expert, Fusion, Planner, Guvnor) 5.3.0.Beta1. Read the new and noteworthy changes. That's a lot less code, isn't it? Some construction heuristics (such as FIRST_FIT_DECREASING) do require you to implement a simple difficulty Comparator (more info in the manual). So which construction heuristic is better? Well, let's use the Benchmarker to find out. Below are some benchmarks on different examples. Note that construction heuristics should be suffixed with metaheuristics (such as tabu search): these scores are just the starting scores for the more advanced optimization algorithms (metaheuristics), they are not the final scores for these use cases. Notice that the Best Fit Decreasing (purple) is better than my original StartingSolutionInitializer (red) for at least 2000soft on these 3 datasets. The latter took me a lot longer to implement, yet it's worse. In some cases, tabu search takes over 10 minutes to compensate for that difference in starting score! I 'll talk about that, the importance of phasing, in a later blog. In this use case, First Fit and Best Fit win, but it's not significantly better than the StartingSolutionInitializer. In fact, the StartingSolutionInitializer behaves exactly like First Fit Decreasing. The Decreasing variants are university worse than the non-decreasing variants. That's big, fat indication that I should take a look at my difficulty Comparator implementation (which is used by the Decreasing variants an my original StartingSolutionInitializer): it's probably wrong. In this case, First Fit and Best Fit don't have a feasible solution for the 3th dataset. First Fit Decreasing wins. Using a good construction heuristic is a vital part of getting the better solutions for planning problems. It gives the metaheuristics a head start. I just got a first cut working for "declarative agenda". The idea here is rules can control which rule can or cannot fire. Because this is highly experimental it is off by default and users must explicitely enable it, it will stay this way until we are happy with the solution. My hope is that it will provide a more declarative approach to execution control; which will enable more readable and maintainable rules compared to using magic salience values and in some circumstances control objects. All matched rule's Activations are inserted into WorkingMemory as facts. So you can now match against an Activation the rules metadata and declarations are available as fields on the Activation object. You can use the kcontext.block( $a ) for the current rule to block the selected activation. Only when that rule becomes false will the activation be elegible for firing. If it is already elebible for firing and is later blocked, it will be removed from the agenda until it is unblocked. @activationListener('direct') allows a rule to fire as soon as it's matched, this is to be used for rules that block/unblock activations, it is not desirable for these rules to have side effects that impact else where. The name may change later, this is actually part of the pluggable terminal node handlers I made, which is an "internal" feature for the moment. 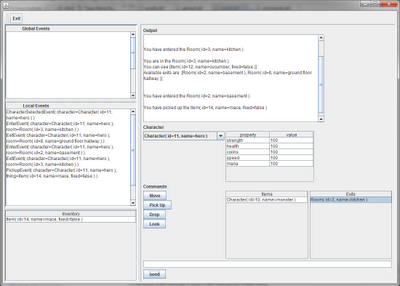 I should be committing this later today, and will send a follow up email once it hits HEAD, but here is a unit test. 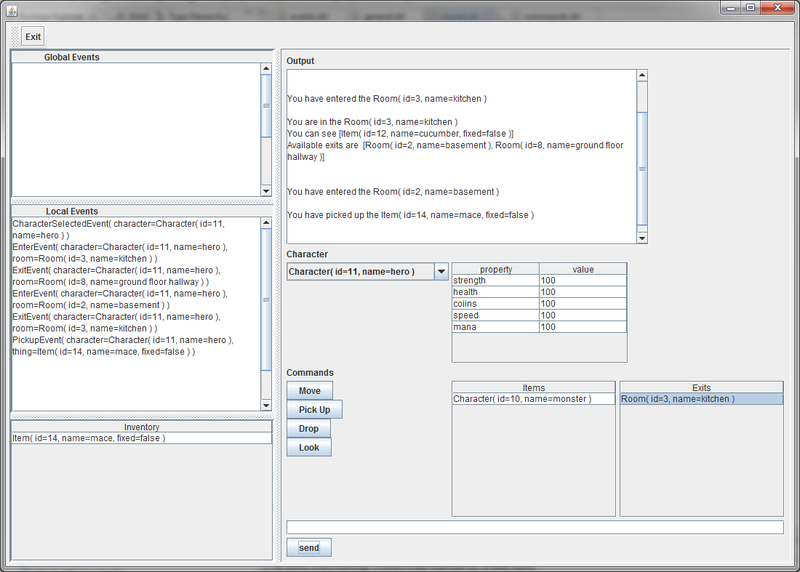 It uses a control role to stop all rules with metadata declaring the rules to be in the "sales" department. Only when that control rule becomes false can they fire. assertEquals( 3, list.size() ); // none of the rules 1-3 fire, as they  are blocked. ksession.retract( go2 ); // the blocker rule is nolonger true, so rules  1-3 can now fire. jBPM Form Builder integration: Make a process work without any code at all! By editing both the process and the forms associated with that process, we can provide an interface ritch enough to let people define and use executable processes without having to touch any code. This will eventually be integrated witht the main build, and there are still some issues to resolve with the form builder. But for the moment, for those eager to try it out, a will make a downloadable demo available pretty soon. Hope to hear your comments and everyone have a great weekend! San Francisco, CA, August 2, 2011– Organizers today posted the abstracts for keynote speakers for Rules Fest 2011, the International Conference on Reasoning Technologies, a conference by developers for developers scheduled for the San Francisco Bay Area this October 2011. In a session titled “Roadmap for Rules, Semantics, and Business,” Paul Haley, who has been working to commercialize artificial intelligence for more than three decades, says understanding the requirements for semantic technology in enterprise vs. the capabilities of rules engines exposes the need for more classic artificial intelligence and reasoning in our technology, more emphasis on knowledge than rules in our services, and more emphasis on knowledge technology strategy in the executive suite. Haley will discuss the challenge that while semantic technology is inevitably mainstream, it remains largely divorced from the activity of knowledge engineering as practiced using business rule engines embedded within business process management or complex event processing systems. Semantic technology encodes meanings separately from data and content files, and separately from application code. This enables machines as well as people to understand, share and reason with them at execution time. Semantic technologies make it easy to add, change and implement new relationships or interconnecting programs in a different way. For example, a context-aware, semantically-enabled system is able to distinguish terms that are labeled differently but have the same meaning, as well as terms that share the same label but have entirely different meanings. Cloud trust, information governance, risk management, and compliance, distributed systems, mobile applications all offer a unique opportunity to realize the true potential of knowledge technology. These systems are usually covered by service level agreements that are rules-based. Dr. Tabet’s discussion, “Semantic Technologies and the Cloud: Rules for the Next Generation,” addresses the major challenges in information management while the business environment also witnesses the drastic shift to cloud computing. Dr. Tabet will address the trend of constraining artificial intelligence and knowledge technologies in legacy environments, and says enterprise knowledge management needs strong semantic technologies, powerful inferencing systems, and advanced machine learning capabilities – not more sophisticated spreadsheets. Dr. Tabet was a co-founder of the RuleML Initiative in 2000, involved in artificial intelligence and its applications for well over a decade. He recently refocused his efforts on RuleML and Business Rules, XML, RDF and the Semantic Web as well as deductive reasoning in financial services. Rules Fest, hosted by the non-profit Rules Fest Association, is a technical conference geared toward software developers, engineers, programmers and architects who create solutions to complex computing problems using reasoning technologies: rule-engines, logical reasoners, constraint-solvers, and other such building-blocks of practical artificial intelligence (AI). More than 200 developers, engineers, programmers, and architects from around the globe are expected to attend the conference in Burlingame, California. The conference will also feature a Career Center to address the war for developer talent in technology companies. Companies seeking advanced programming talent are invited to submit their open positions for posting at no charge. The standard fee for the conference is $499. All bootcamps – addressing specific programming challenges and technologies -- are $299. For a limited time, Rules Fest organizers are offering an early bird rate of $1249 including an all-access conference pass, four nights at the Hyatt Regency Burlingame, a boot camp of choice, and 10% off from next year’s conference. This “early bird” rate is available until September 30. Early discounts are also available for general admission and for bootcamps without a hotel stay. To register, attendees should visit the conference registration site on the conference website. The non-profit Rules Fest™ Association, Inc. produces the annual Rules Fest conference, the world's only technical conference devoted to the practical application of all reasoning technologies. For a better understanding of reasoning systems, visit http://en.wikipedia.org/wiki/Reasoning_System. © Copyright 2011. All rights reserved. Rules Fest is a trademark of Rules Fest Association. RuleML is just around the corner and will be in Fort Lauderdale this time. If you aren't sure that your work it suitable to submit, just email me and we will be happy to discuss it with you. The RuleML2011@BRF Challenge is one of the highlights at RuleML2011@BRF Conference.The RuleML2011@BRF Challenge is dedicated to practical experiences with rule-oriented applications. In particular, submissions of benchmarks / evaluations, demos, case studies / use cases, experience reports, best practice solutions (e.g. design patterns, reference architectures, models), rule-based implementations / tools / applications, demonstrations of engineering methods, implementations of rule standards (e.g. RuleML, RIF, SBVR, PRR, rule-based Event Processing languages, BPMN+rules, BPEL+rules, ...), rules + industrial standards (e.g. XBRL, MISMO, Accord, ...), and industrial problem statements are particularly encouraged. Ideally, demos submitted to the Challenge track should tackle knowledge-rich domain problems. The proposed solution should address such problem using a combination of rule-based modelling and semantic knowledge-based modelling. Solutions ranging from loosely coupled hybrid systems (i.e. where different frameworks are put together), to unified homogeneous architectures (i.e. where a unified model / semantics, within a single framework, is proposed) will be of great interest for the special track. Submissions to the Rules Challenge 2011 consist of a demo paper of 4-8 pages, describing the demo show case, and a link to the demo/show case, e.g. a project site, an online demonstration, a presentation about the demonstration, or a download site for the demonstration. To ensure high quality, submitted papers will be carefully peer-reviewed according to the evaluation criteria indicated below. demos should pay attention to end-user interactions, providing an adequate and usable interface that favors a concrete usage of the application (10%). Authors are invited to submit original contributions of practical relevanceand technical rigor in the field, benchmarks, evaluations, experience reportsand show/use case demonstrations of effective, practical, deployablerule-based technologies or applications in web-distributed environments. Papers must be in English. Accepted papers will be published as CEUR Workshop Proceedings. The RuleML2011@BRF Chairs are currently evaluating the possibility to have an exhibition space where to present the demo live to the participants throughout the Symposium. More information will be released with the notification of acceptance of the demo papers and demo systems.